Winter 2018 Season – Priority Registration! Application for Priority Registration for Winter 2018!. Winter season is nearly upon us and we will be opening Applications for Priority Registrations for our current members on Monday 22nd January 2018. 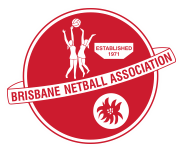 All registrations are to be completed online via the Mynetball website using the below links. More detailed information about Registrations for Winter 2018 season can be found here. Winter 2018 Season Fees are $285.00 for all players. Winter Season Trials (Attendance to trials is required for team selection). Please register early as we only have limited spaces. Registrations for the 2016 Winter season are open. Register directly through our online registration form. Please refer to your recent email for your registration number. For those eligible, applications for the Get in the Game vouchers will be available from 27 January 2016. You will need to get in quick for these. If you haven’t done so yet, go to our Online Registration Form and complete it now. Current and former Kedron Lions players and new U10s who register and pay their fees within the priority registration period are guaranteed placement in a team. All other players will be considered on a first in basis and a waitlist will be created. Many younger folks have outgrown uniforms and it’s time to renew. Uniform penalties will apply to teams where players’ dresses do not cover the bike pants. Please ensure your dress is long enough. Remember that we offer a connection point in our classifieds so you can resell your second hand uniform. Just complete the uniform classified form and we will post it online for you. We also take uniform donations to help those in our community that may be struggling to make ends meet. Registrations for the Summer 2015/16 season closed on 28 August 2015 as we work through the team selections. Spots inevitably arise as we work through this. To get on the waitlist, please complete the waitlist form today. 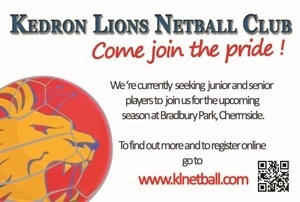 Current and former Kedron Lions players have priority and all other vacancies will be considered on a first in basis. This includes most of our children born 2003 or later. All U10s to U12 games will be played on a Tuesday night. PLEASE NOTE WE HAVE A NEW BANK ACCOUNT FOR DIRECT DEBIT. Please update your internet banking details.